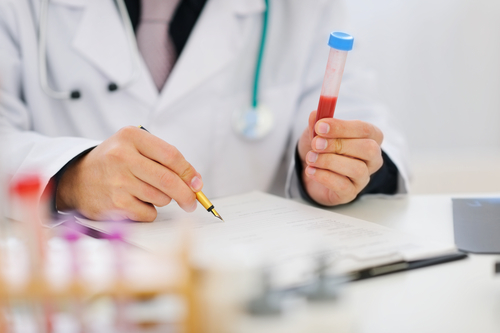 As men get older and begin to consider changes in their health, many have wondered if they are in need of a Prostate-Specific Antigen (PSA) Blood Test. For those living with a high risk of prostate cancer, medical professionals advise having the test done after age 50. Today, the urology specialists from Medical Center Urology in High Point, NC, will explain how to determine if a PSA test is right for you. This blood test is simple, straightforward, and helps to detect cancer in its earliest stages. A sample of blood is taken from the patient’s arm, and that sample is used to determine the likelihood of the patient having prostate cancer. By measuring the level of prostate-specific antigen in the bloodstream, doctors can determine whether additional screening may be necessary. However, it’s important to note that tests results are not always accurate. Occasionally, blood may reveal elevated levels even without the presence of cancer. In other scenarios, cancer may be present even without the blood test showing elevated levels. Still, doctors recommend that older males look into PSA blood tests. Screening for prostate cancer may alert medical professionals to slow-growing, non-threatening forms of cancer, which may not require treatment. For that reason, experts have concluded that while PSA testing has lowered the number of deaths from prostate cancer, it may also expose men to unnecessary risks and expenditures. Because cancer treatments come with side effects, such as bowel dysfunction, erectile dysfunction, or urinary incontinence, the test is not recommended for men over the age of 70. Although the test may, in fact, detect prostate cancer, treating it may do more harm than good. Every person is different, though, and some at-risk men over 70 may decide to move forward with the test so they can live with peace of mind. Most experts recommend conducting a one-on-one with your doctor to determine what the risks and benefits would be and to decide if you’d like to take the test. To find out if prostate cancer screening is right for you, talk to the experts from Medical Center Urology. For more information, call today at (336) 882-0220 or visit the website.